Our mosquitos protection program helps kill and repel active mosquitos. 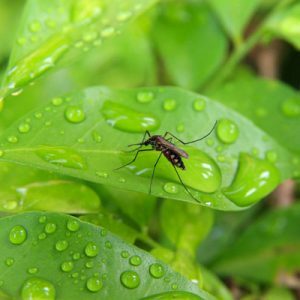 Our state licensed and trained technicians will focus on areas of harborage and breeding sites to reduce the population of mosquitos on your property. The usual hotspots are trees, shrubs, leaf litter, under decks, planting beds, and any standing water or wetland areas. We offer both traditional and organic options for spray; however the traditional will yield a much better result! FHS is proud to provide the best coverage and protection by utilizing our high pressure spray equipment. With rising concerns for diseases carried by mosquitos such as EEE, West Nile Virus, and Zika, we are confident that you are in good hands! Our state licensed and trained applicators will apply an insecticide spray to all areas of harborage on your property. Once the spray has dried, you are free to go out and enjoy your property again! Drying takes 20 – 30 minutes. This service does provide a rapid knockdown/kill and residual protection. A minimum of 7 treatments is recommended to achieve good control over the population. These applications take place between May and September. Our state licensed and trained applicators will apply an insecticide spray to all areas of harborage on your property. Once the spray has dried, you are free to go out and enjoy your property again! Drying takes 20 – 30 minutes (unless on organic program). This service does provide a rapid knockdown/kill and residual protection. A minimum of 7 treatments is recommended to achieve good control over the population. These applications take place between May and September. Mosquitos are extremely annoying and at times, very dangerous! Here at Ford’s, we continue to protect your family and pets against rising cases of Zika, West Nile Virus, and Eastern Equine Encephalitis (EEEV) and many more. We are confident that you’re in good hands with our Mosquito Protection services. Our application equipment is the best in the industry. We are able to provide very high pressure and powerful sprays, unlike our competitors, to keep those Mosquitos at bay! Generally, symptoms last less than 7 days and as of 2016, there have been no reported deaths during the initial infection. Infection during pregnancy causes microcephaly and other brain malformations in some babies. Infection in adults has been linked to Guilliain-Barré Syndrome (GBS). Diagnosis is by testing the blood, urine, or saliva for the presence of Zika virus RNA when the person is sick. West Nile Virus is an arbovirus in the Flaviviridae family. There are various kinds of mosquitos that have the ability to transmit this Virus, with birds being the most commonly infected animal. West Nile Virus has also been found in various different Tick species. West Nile Virus has also been found in reptiles and some amphibians. There is currently no vaccine or medication for West Nile Virus. The best way to reduce the chance of getting this nasty virus is by reducing the populations and breeding sites in your area. There are various different problems that can arise after being infected with West Nile Virus. ■ West Nile Fever – Occurs in 20% of cases. It is a Febrile syndrome that causes Flu-like symptoms. This fever tends to be a mild, acute syndrome lasting 3 to 6 days after the symptoms begin to show. ■ West Nile Neuroinvasive Disease – This occurs in less than 1% of cases. WNND is when the virus infects the central nervous system, which leads to meningitis, encephalitis, meningoencephalitis or a poliomyelitis-like syndrome. Many infected patients with WNND have normal neuroimaging studies; however abnormalities may show in different cerebral areas including basal ganglia, thalamus, cerebellum, and the brainstem. ■ West Nile Virus Encephalitis – This is the most common neuroinvasive manifestation of WNND. WNE has similar symptoms to other cases of encephalitis. These symptoms can include fever, headaches, and an altered mental state. Muscular weakness is also very common, with 30% to 50% of patients experiencing lower motor neuron symptoms, flaccid paralysis, and hyporeflexia. ■ West Nile Meningitis – Symptoms of WNM usually include fever, headache, and a stiff neck. An increase of white blood cells, known as pleocytosis, can also be present. ■ West Nile Poliomeylitis – is an acute flaccid paralysis syndrome that is less common than WNM and WNE. This syndrome is usually characterized by acute onset of limb weakness or paralysis. Pain in the limbs has been known to occur after paralysis. The syndrome can also affect the respiratory muscles, which can lead to acute respiratory failure. ■ Nonnerologic complications – These are very rare, but WNV infections can lead to pancreatitis, myocarditis, rhabdomyolysis, orchitis, nephritis, optic neuritis, and cardiac dysrhythmias and hemorrhagic fever. EEEV is able to infect various types of animals, including mammals, birds, reptiles, and amphibians. The Cs. Melanura and Cs. Morsitan are the kinds of mosquitos that tend to be the carriers. These mosquitos feed on the blood of birds, and when other mosquitos feed on an infected bird, they contract EEEV. From there, the newly infected mosquitos will go on to feed one other animals and humans, passing the virus along. The virus was first discovered in Massachusetts in 1831. There is no cure or vaccinations for EEEV. The best way to avoid getting infected is to reduce breeding areas and avoid exposure to mosquitos. Treatment for EEEV consists of corticosteroids, anticonvulsants, and supportive measures to treat the symptoms. The symptoms of EEEV depend on the way that the virus progresses, either systematic or encephalitic. ■ Encephalitic involves the swelling of the brain and can be the only symptom appearing. This progression is mostly found in infants and young children, but usually occurs after experiencing systemic symptoms. ■ Systematic illnesses usually are recoverable after one or two weeks. The symptoms include high fever, muscle pain, altered mental state, headaches, meningeal irritation, photophobia, and seizures. These symptoms occur 3 to 10 days after being infected by a mosquito’s bite.